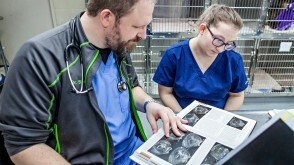 This Biology major provides a foundation in biological principles with the largest range of flexibility in electives to explore a variety of biological topics. 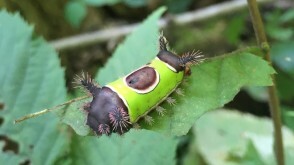 As a Biology major you learn to identify, alter or manage biological processes from single cells to whole organisms. 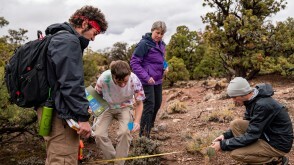 Every Biology major is encouraged to seek distinctive learning, research, and field experiences. 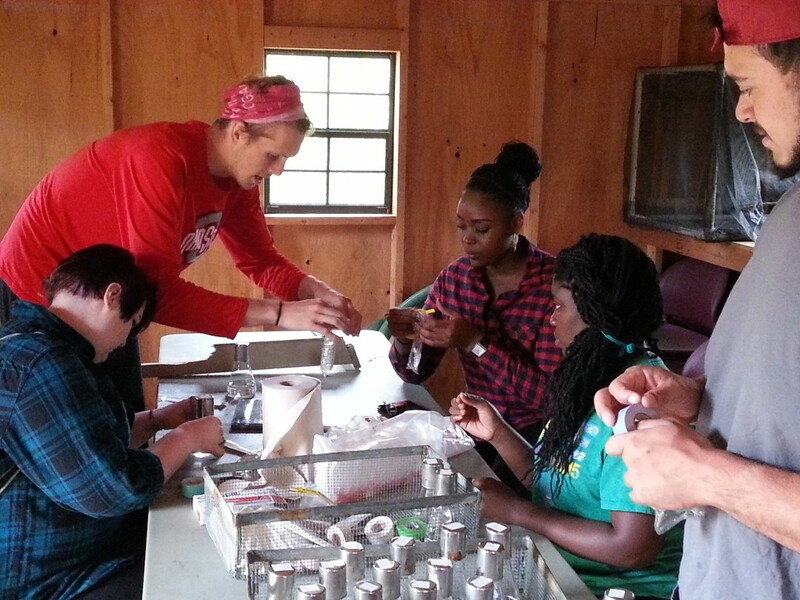 These often take the form of independent study, summer research at OWU or other institutions, summer classes at a biological field station, and internships at hospitals and ecological or agricultural centers. 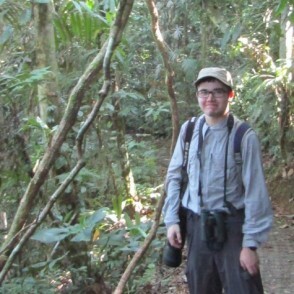 Working with Dr. David Johnson, Kyle Davis ’19 conducted avian censuses in Costa Rica, comparing the biodiversity in two different locations in order to assess the overall ecosystem health. 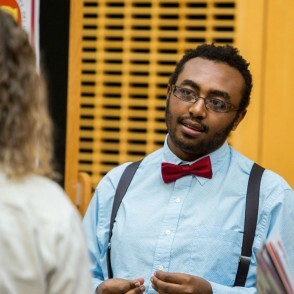 He presented his research at the annual Student Symposium. 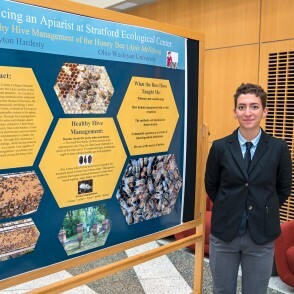 Peyton Hardesty '20 served as an apprentice for beekeeper Dave Noble at Stratford Ecological Center. She observed and assisted in the healthy, sustainable management of over fifty hives. As the honey bee population dwindles, such practices become paramount. Jemil Ahmed ('17) studied how turmeric, a common spice in Asian cusine, affects genes that combat virus infections. Travel-Learning Courses provide a unique way to go from theory into practice—and to journey to a distant land and interact with people from other cultures. OWU offers dozens of these courses each year (usually during spring break or at the end of classes in May), and the University covers a substantial portion of the travel costs, lodging, meals, and on-site transportation. During a Travel-Learning Course in Costa Rica, Francesca Socki ’17 studied tent-making bats and the structure and leaf characteristics of the tents that they create. In a class taught by Professor Laurie Anderson, students examined three Brazilian ecosystems as case studies: Manaus, a city on the Amazon River; the Chapada savanna region; and an ecotourism lodge in the Pantanal, a wetlands area. 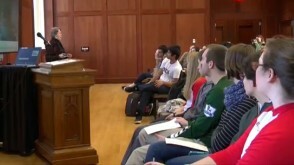 Ohio Wesleyan maintains multiple "living labs." 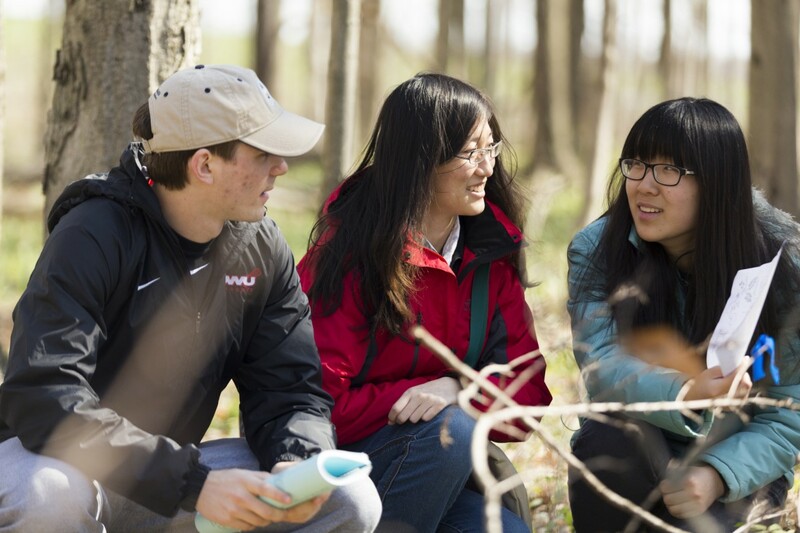 At OWU, you'll find a campus arboretum, an herbarium with 16,000 specimens, the Moore Greenhouse with almost 500 specimens from around the world, and two forested nature preserves. 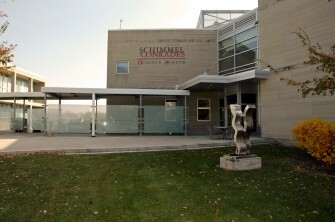 OWU's 150,000-square-foot science center features an array of sophisticated equipment for hands-on use by OWU students. 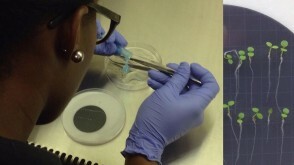 Examples of the technology include digital imaging equipment, 3D printer, fluorescence microscope, scanning transmission electron microscope, and state-of-the-art equipment for molecular biology studies. 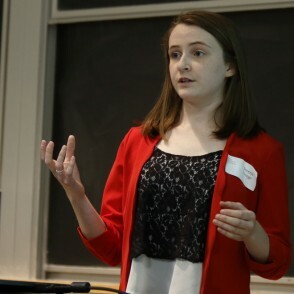 Students have the opportunity to engage full-time in cutting-edge research with faculty mentors at OWU, with free on-campus housing and a generous stipend for 10 weeks in the summer. 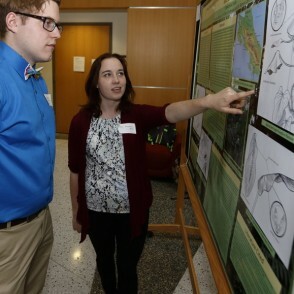 Students present their findings at an all-college scientific symposium and often at national and international conferences. 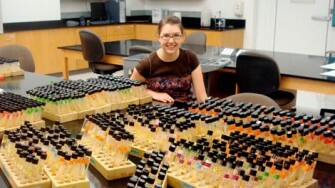 Chloe presented her undergraduate research at the American Society for Microbiology Annual meeting in New Orleans. After graduating from OWU, she worked at Neogen Corp. and went on to study medicine at Michigan State University. 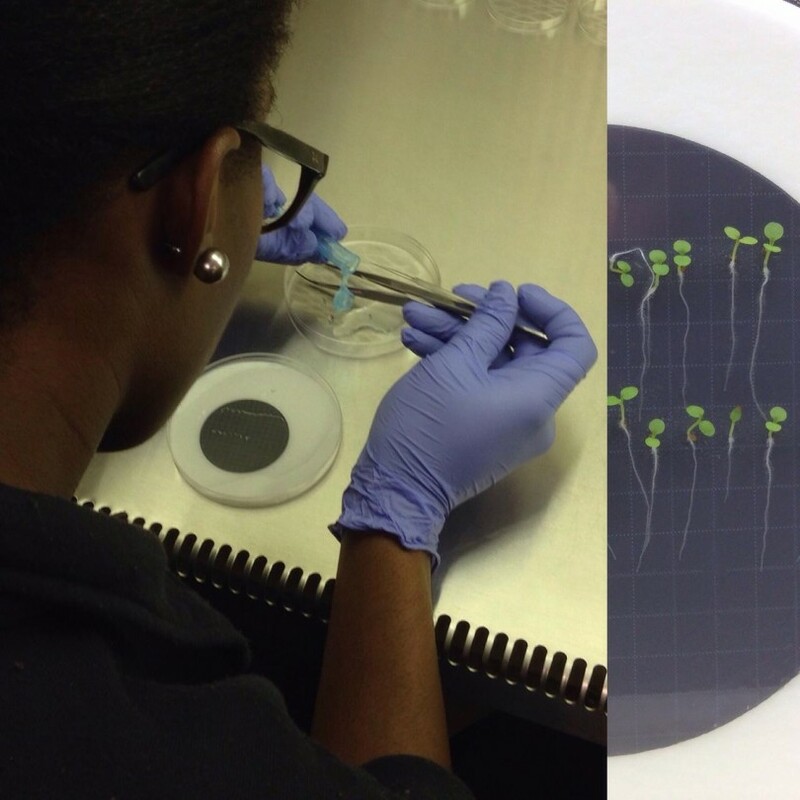 Recent biological science grads are attending graduate programs at the following universities: Auburn, Case Western Reserve, Cornell, George Washington, Michigan State, Penn State, Purdue, Ohio State, Vanderbilt, and Bren Fellow, Rio de Janeiro. 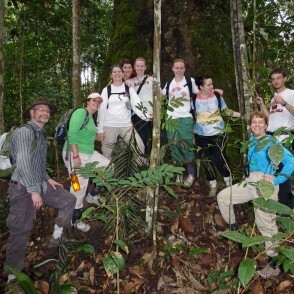 OWU biological science graduates are working around the globe in highly varied fields. Examples of employment include: Centers for Disease Control and Prevention, Chemical Abstracts Service, Columbus Zoo and Aquarium, Mayo Clinic, Novartis Vaccines and Diagnostics, Ohio Seed Improvement Association, and Tiger Optics. 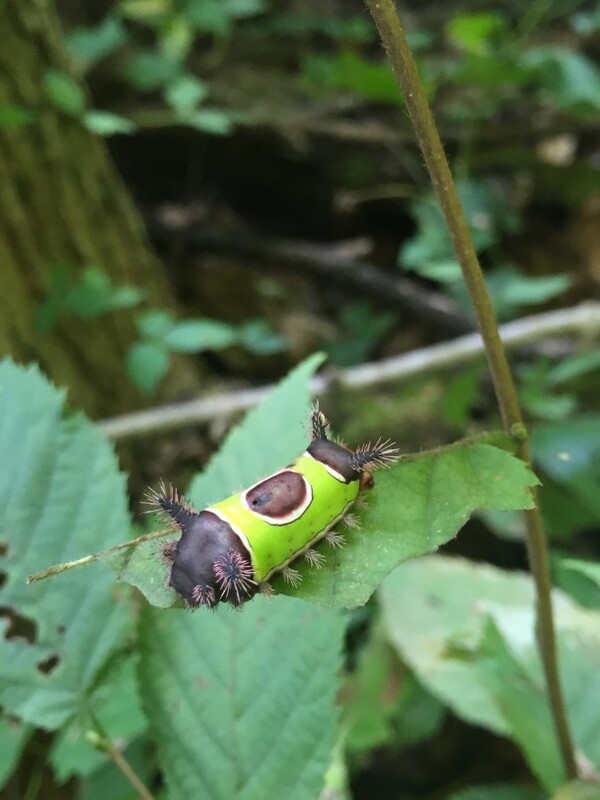 A Saddleback caterpillar at the OWU Kraus Wilderness Preserve. 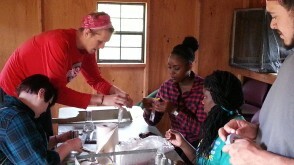 Students organizing soil and biological samples collected from a local stream.